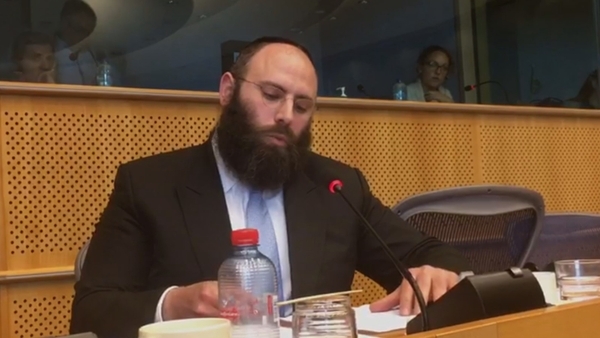 BRUSSELS, BELGIUM, July 01, 2017 /24-7PressRelease/ — European Jewish Association General Director Rabbi Menachem Margolin spoke at the European Parliament about their recent anti-Israel conference, which honored representatives from the Palestinian Authority and the BDS movement. “Yesterday, an anti-Israeli conference was held in the European Parliament with participation of senior representatives from the Palestinian Authority and BDS activists, who defamed the State of Israel and presented it as the sole side at fault for the failure of the peace process,” Margolin said. To strengthen Jewish Identity and expand Jewish activities in Europe. To defend Jewish interest in Europe. To improve the image of Israel in Europe. The modern European Jewish communities are facing challenges beyond the scope of regional initiatives with limited resources. Most of the Jews in Europe are not part of any community and most of children and students have a very limited knowledge of our culture and tradition. As the level of anti-Semitism in Europe is growing each day, European Jewry must act and defense our interest and future. The state of Israel has invested a great deal in developing its relations with the US and its Jewry and caring for the Russian and former USSR nations Jewish communities. Due to lack of resources, the relationships between Israel, European countries and the European Jewish Diaspora doesn’t seem to be a top priority for the state of Israel. EJA helps its member organizations and communities with various resources and represents them in the political arena. EJA’s board include directors of member organizations. Rabbi Menachem Margolin, General Director of the Rabbinical Centre of Europe (RCE) serves as the General director of EJA.